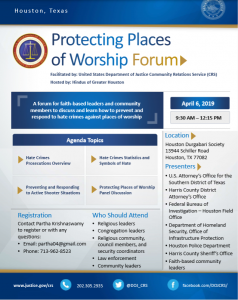 Seminar on “Protecting places of worship and understanding hate crime” Register here. 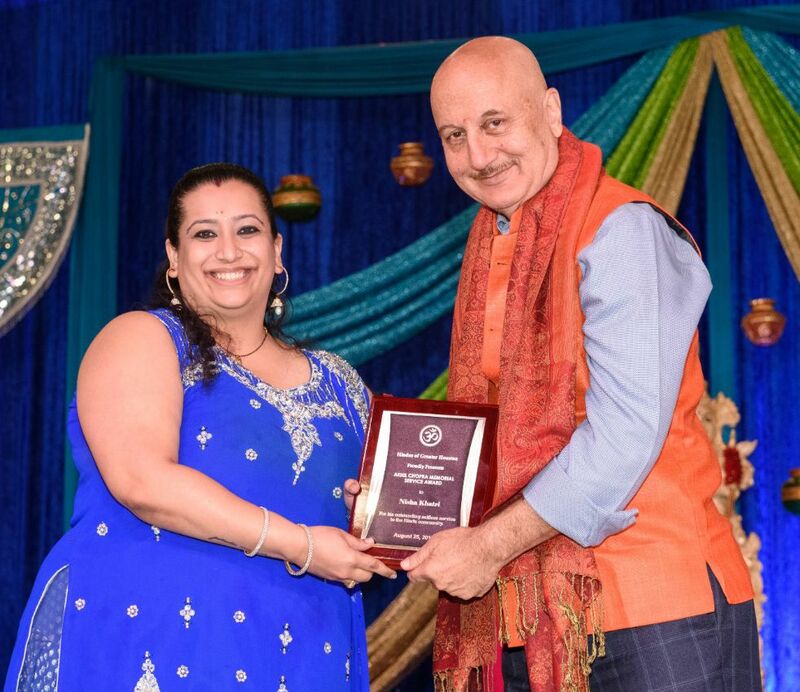 Hindus of Greater Houston was founded in 1990 with a unique concept to bring together the entire community at one place and celebrate the most popular festival, the birth of Lord Krishna. 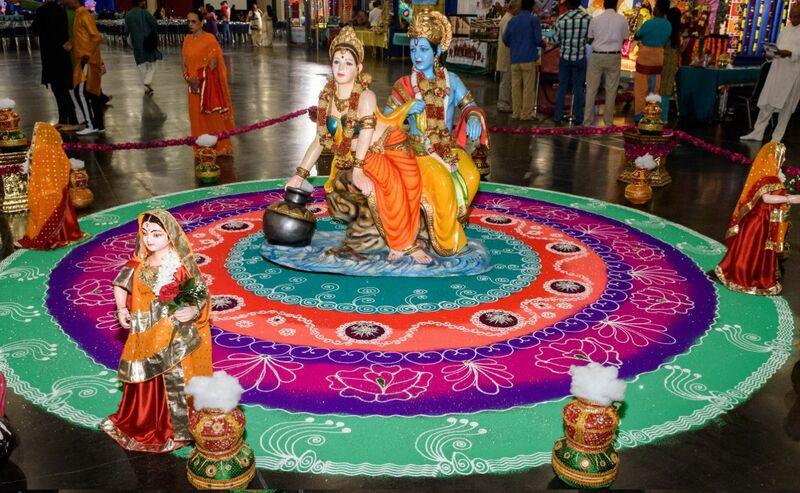 The festival is to showcase the the rich traditions and culture and bring out the core tenets of the Hindu faith that reinforces love towards all living beings, reverence towards planet Earth and a peaceful coexistence among all. 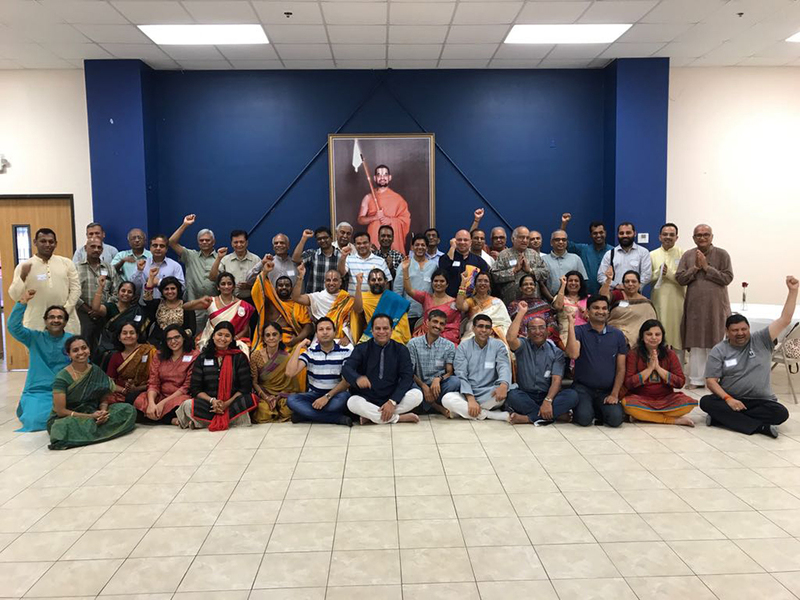 Over the years Hindus of Greater Houston collectively organized community volunteer driven events throughout the year. 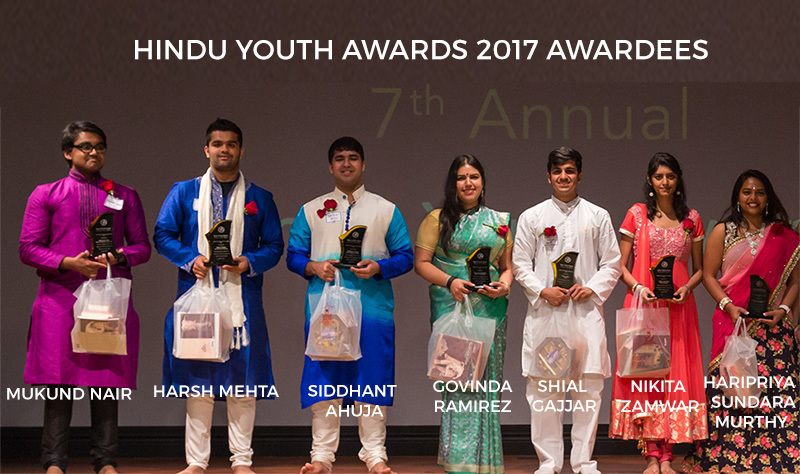 We celebrate our youth who are the future leaders of the community and appreciate their dedication to carry the Hindu values forward and make this world a better place for all. When someone has a birthday, we try to please the person whose birthday we are celebrating. Maybe we may buy them some presents or bake them a cake. We try to do something for them that will make them happy. 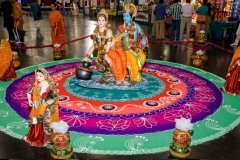 Likewise, on this very wonderful day celebrating Lord Sri Krishna’s appearance, we should consider what we can do that would be most pleasing to Him. The Supreme Lord is the owner and controller of everything. There is nothing that He is lacking. He doesn’t need anything from us. But there is one thing that He wants from us. Our love. This is the one thing we have to offer that makes Krishna very happy. But our love can only be offered as an expression of free will. Love can’t be taken or forced. That’s not the nature of love. 5000 years ago, Krishna appeared on this planet in His original form. He came for many reasons. He came so we could come to know of the absolute reality of His existence. He came to display His wonderful pastimes and loving exchanges with His devotees. 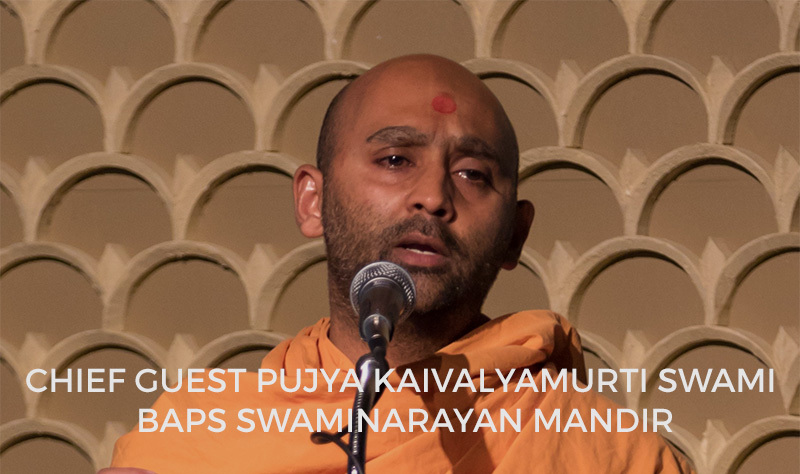 He came to speak the Bhagavad-gita, which is His personal and direct instructions to each of us. And as we hear about Sri Krishna, and His wonderful pastimes, and become more attracted to Him, something wonderful happens. 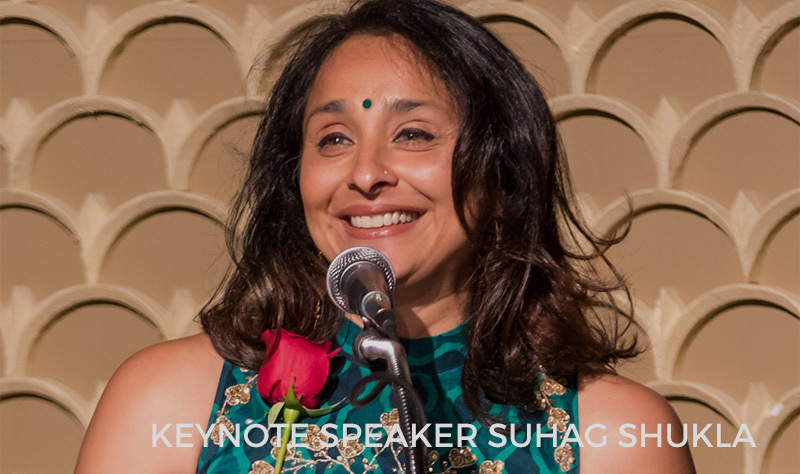 The love that we begin to experience for the Supreme Lord attracts Him to us. And He begins to reveal Himself to us more and more. This is the ultimate truth that Sri Krishna reveals to us in the Bhagavad-gita. So today on Janmashtami, and every day, let us be prayerful of how we can use our lives to be pleasing to God and grow our love for Him. This is Sri Krishna’s birthday wish. If this is our heart’s desire, then our love for God will forever grow. Krishna will be more and more pleased, and we will experience true happiness and peace. Best wishes and aloha to you all. Selfless service to others and diligently work without any attachment to fruits of action is the best way to attain liberation. 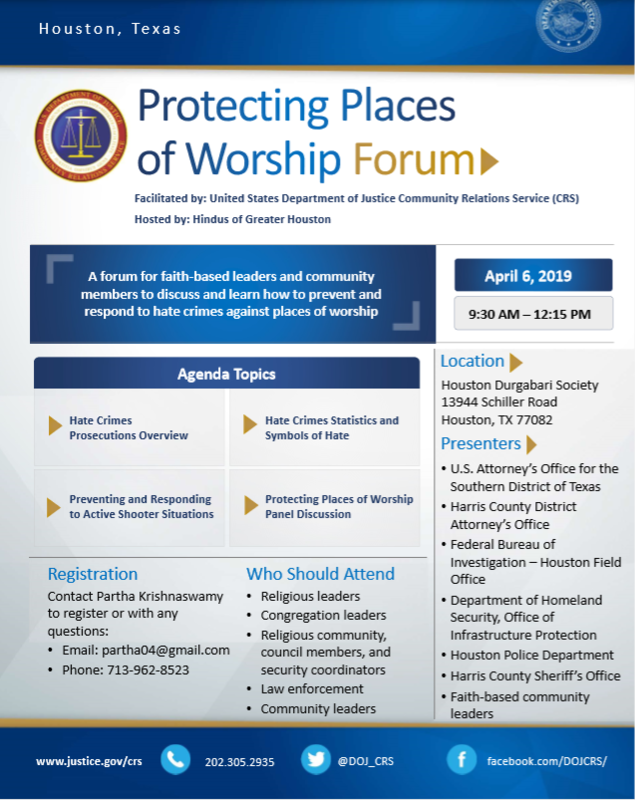 To provide guidance and function as a support as an umbrella organization protecting the needs of all the Hindus in the Greater Houston area and beyond. 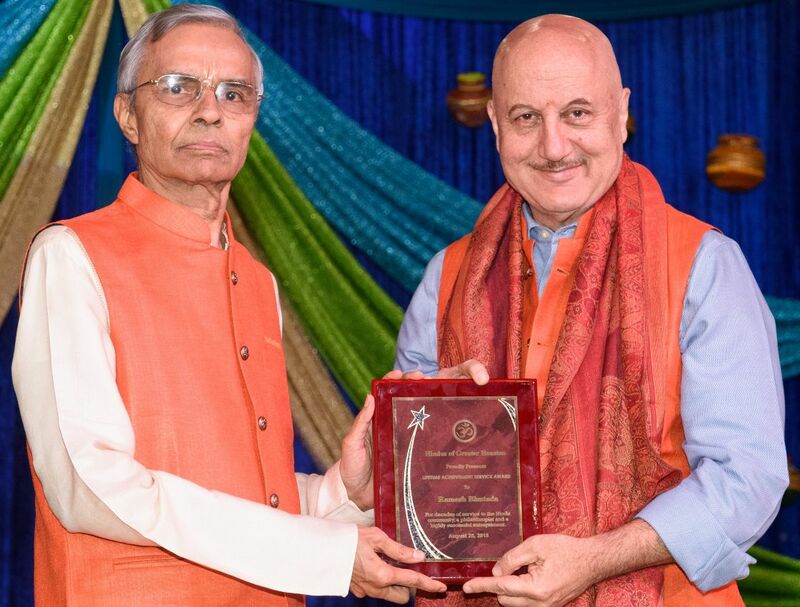 To inspire Hindus the splendor of our convictions and traditions. To propagate understanding and dispel misinformation about our faith. To coexist with camaraderie, cooperation and compassion with all factions of other faiths. 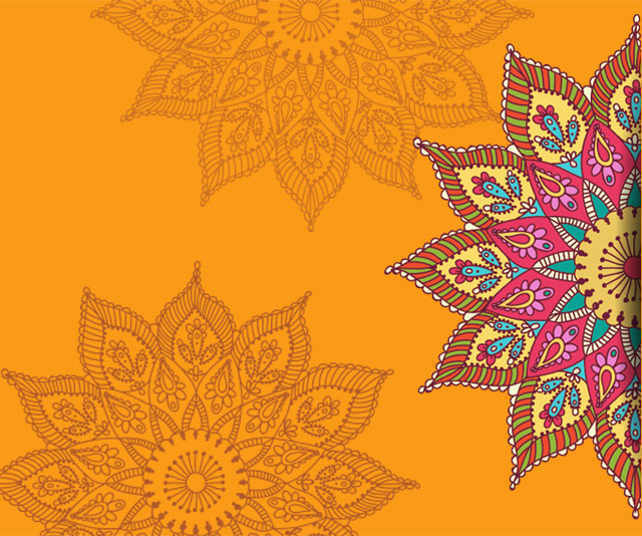 To build a strong community that continues to thrive amongst unity in diversity. To persevere cultural and religious activities of our community. 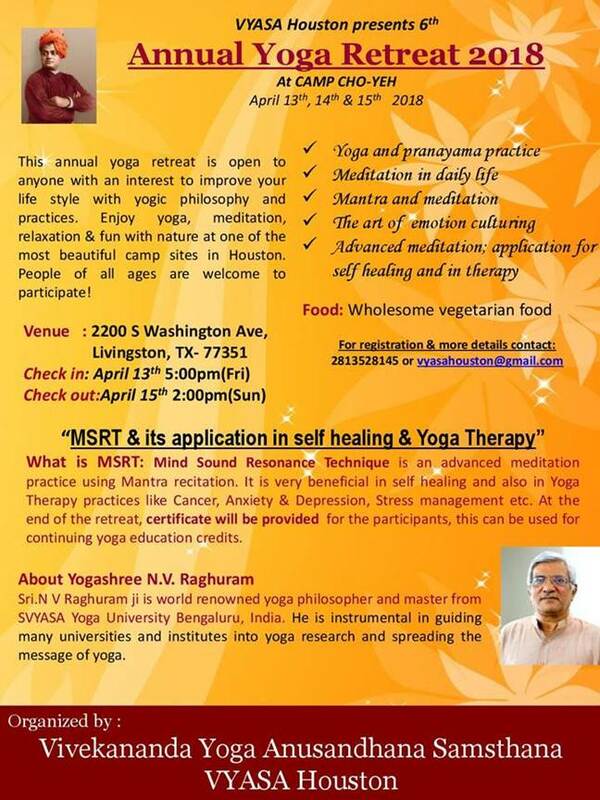 To uphold lofty ideals of Sanatana Dharma, its values and its principles. 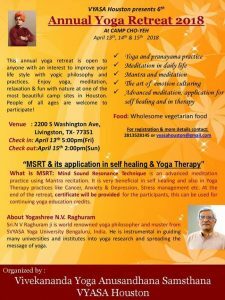 Hindus in America need a forum to forge distinctly an identity and be tightly woven into national fabric of USA. 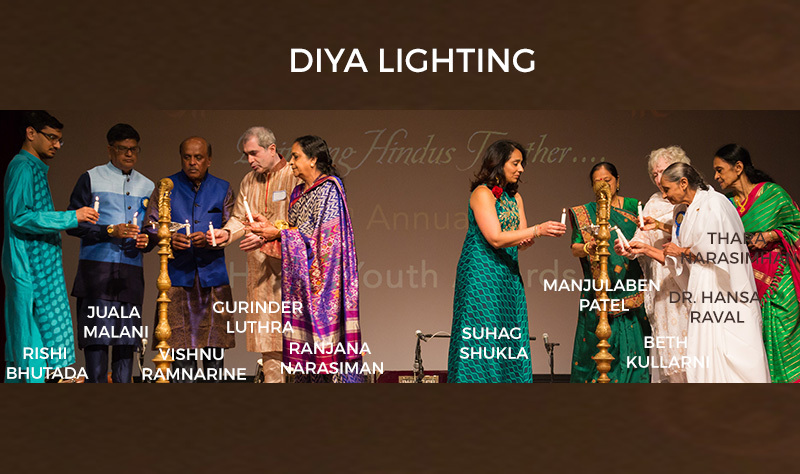 To keep up with the spiritual needs of Hindu community in Houston we have built many Hindu Temples and Institutions that will provide an atmosphere to recreate a religious setting for our next generation. 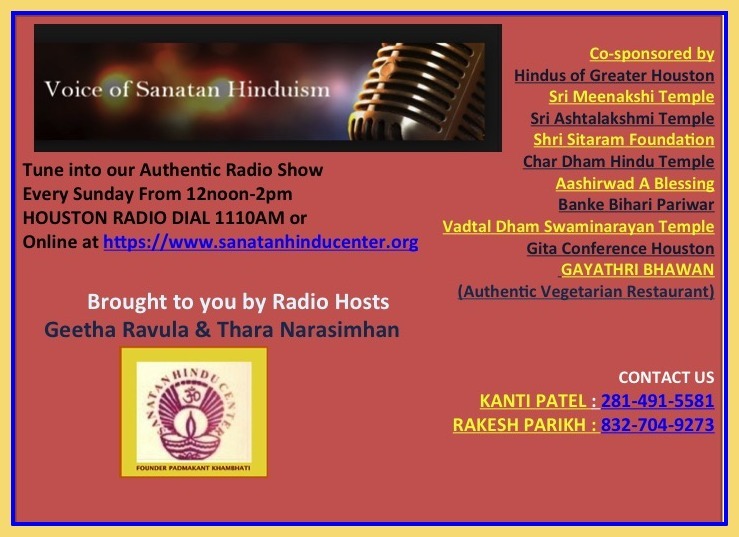 Only through the united effort undertaken by The Hindus of Greater Houston we can help create better awareness of our faith and expel misconception in the main stream and and accomplish enviable legacy of success along with unity of purpose.The richness of Hinduism was introduced by Swami Vivekananda to USA in 1893, bringing the world attention to both tolerance and universal acceptance. 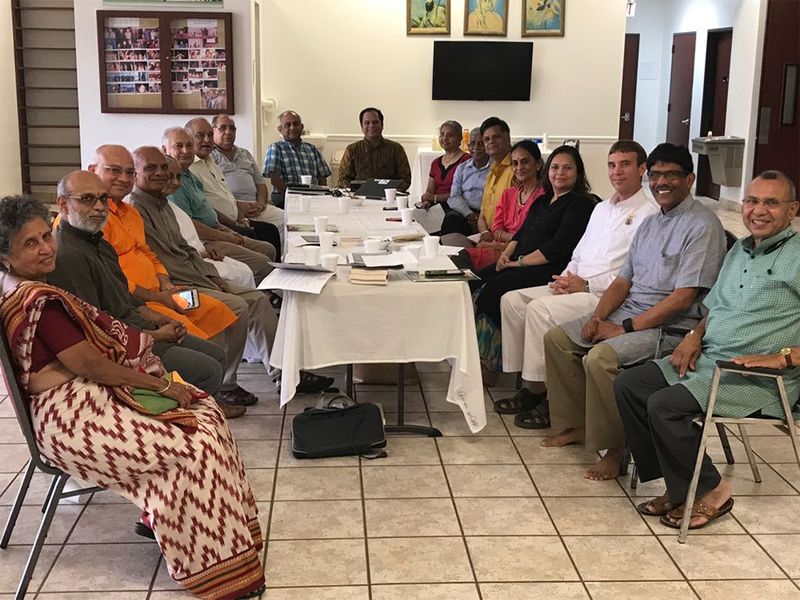 Hindus of Houston diligently will pursue to preserve its pristine purity. Youth can have a huge impact about a change in this world, if only they can realize and manifest their own full potential. 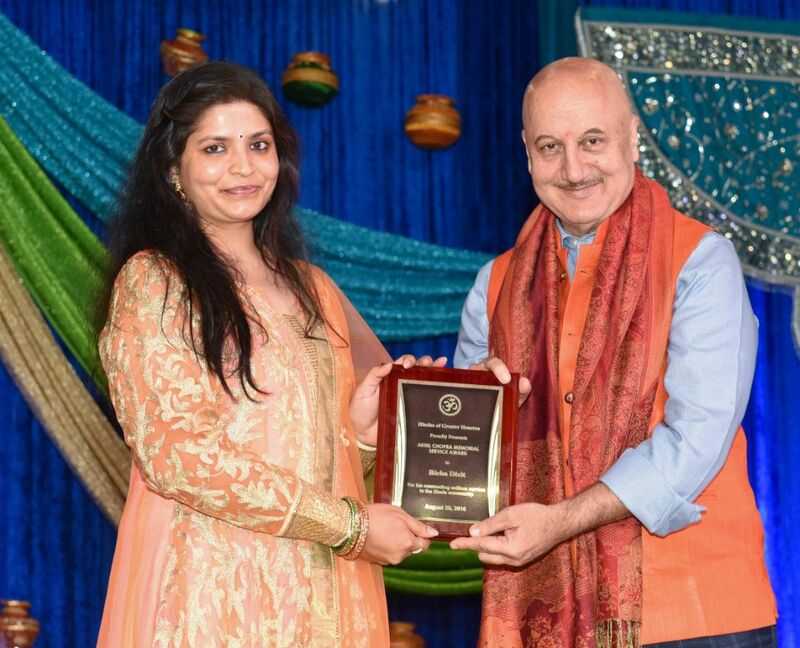 Hindus of Greater Houston are doing an exemplary job to promote a sense of service in Youth. I really appreciate their effort.